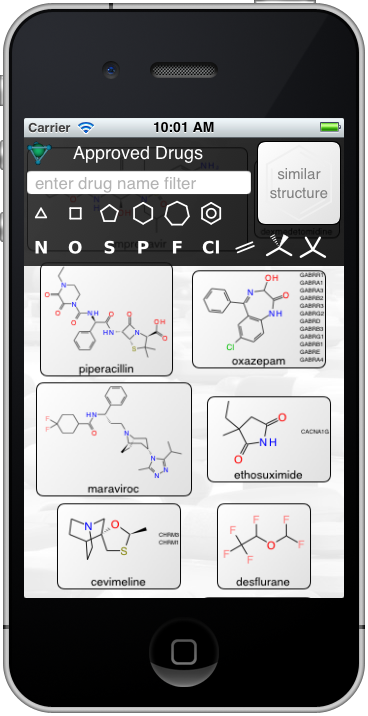 A paper has recently emerged in Molecular Informatics, which Sean Ekins, Antony Williams and myself put together earlier this year, entitled Redefining Cheminformatics with Intuitive Collaborative Mobile Apps. 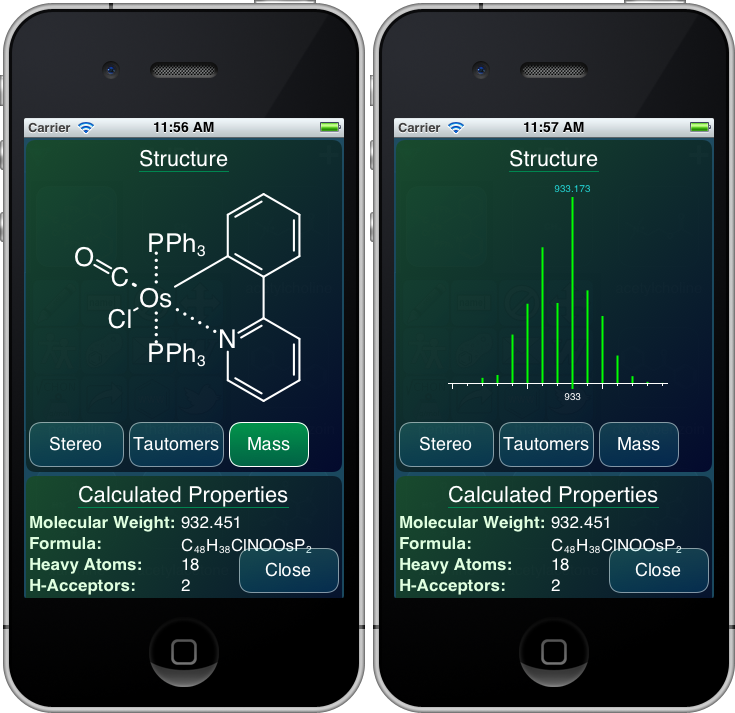 It is currently available as an early access preview, and also happens to be open access, so if you have any interest in how mobile apps can and do fit together in a cheminformatics workflow, go download it now. The proliferation of mobile devices such as smartphones and tablet computers has recently been extended to include a growing ecosystem of increasingly sophisticated chemistry software packages, commonly known as apps. The capabilities that these apps can offer to the practicing chemist are approaching those of conventional desktop-based software, but apps tend to be focused on a relatively small range of tasks. To overcome this, chemistry apps must be able to seamlessly transfer data to other apps, and through the network to other devices, as well as to other platforms, such as desktops and servers, using documented file formats and protocols whenever possible. This article describes the development and state of the art with regard to chemistry-aware apps that make use of facile data interchange, and some of the scenarios in which these apps can be inserted into a chemical information workflow to increase productivity. 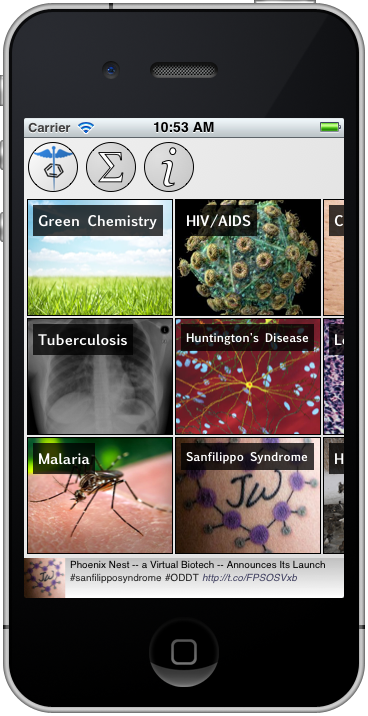 A selection of contemporary apps is used to demonstrate their relevance to pharmaceutical research. 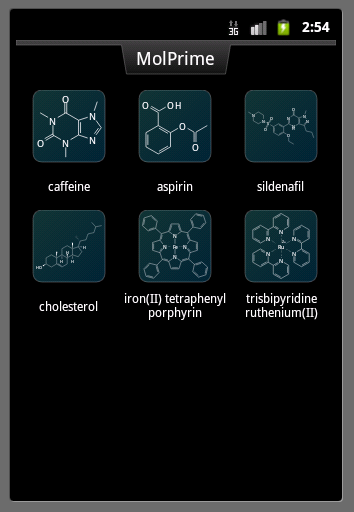 Mobile apps represent a novel approach for delivery of cheminformatics tools to chemists and other scientists, and indications suggest that mobile devices represent a disruptive technology for drug discovery, as they have been to many other industries. 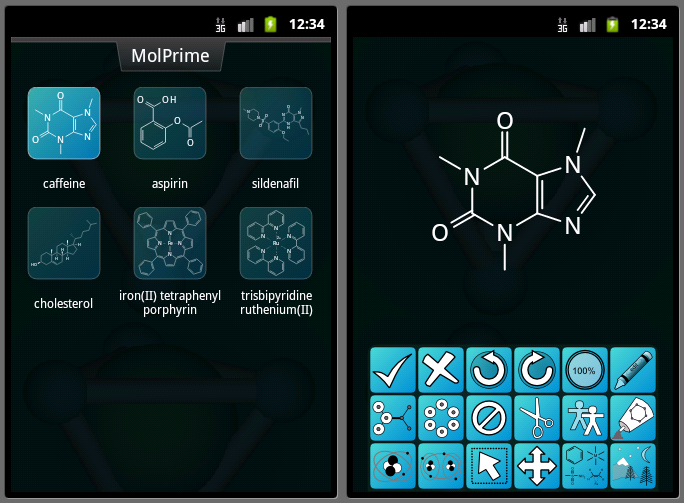 The Android port of MolPrime is getting closer to being a functional app. As you can see in the two-part snapshot to the right, the both the main screen and the diagram sketcher have enough capabilities to present the initial facade. The sketcher currently only displays the structure and some buttons, but that’s still solid progress.